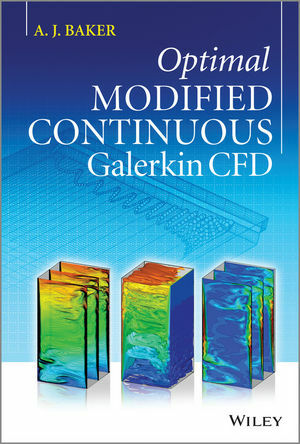 Giving you a solid foundation on the Galerkin finite-element method (FEM), this book promotes the use of optimal modified continuous Galerkin weak form theory to generate discrete approximate solutions to incompressible-thermal Navier-Stokes equations. The book covers the topic comprehensively by introducing formulations, theory and implementation of FEM and various flow formulations. The author first introduces concepts, terminology and methodology related to the topic before covering topics including aerodynamics; the Navier-Stokes Equations; vector field theory implementations and large eddy simulation formulations. This approach is useful for graduate students in various engineering fields and as well as professional engineers. Professor Baker is Professor Emeritus in both the Engineering Science Department and the Computational Mechanics Department at the University of Tennessee. Prior to this he was Director of UT CFD Laboratory at the University of Tennessee. He is a Fellow of International Association for Computational Mechanics (IACM) and the US Association for Computational Mechanics (USACM) as well as being an Associate Fellow of the American Institute of Aeronautics and Astronautics (AIAA). Professor Baker has devised many courses on FEA-related topics during his career and has also written multiple books and journal articles.